David Kaser came to Cornell University in 1968, bringing more than twenty years of experience in the field of library administration. Born in Mishawaka, Indiana, he began his career as a student library assistant at Houghton College in New York State, where he received his bachelor’s degree in 1947. He received a master’s and Ph.D. degrees in Library Science from the University of Michigan. From 1952-1954, Kaser was the serials librarian at Ball State, and from 1956-1959, he was the chief of acquisitions at the library of Washington University at St. Louis. The following year, he served as assistant director for technical services and then became the Director of the Joint University Libraries (now the Vanderbilt University libraries) in Nashville, Tennessee. He was named a Guggenheim Fellow in 1967, and served as president of the Association of College and Research Libraries from 1978 to 1979. At Cornell, Kaser introduced computer operations in acquisitions with the implementation of the Automated Acquisitions and In-Process Control System and, as part of a nationwide movement towards library cooperation and resource sharing, the Cornell University Libraries began contributing records to OCLC, a nationwide library database, in 1973. The 1960s also saw a dramatic expansion of Cornell’s college libraries, including Engineering, Industrial and Labor Relations (ILR), Veterinary, Hotel, and Music. Fine Arts moved into Sibley Hall, Management into Malott Hall; Physics and Chemistry were combined as the Physical Sciences Library in Clark Hall. The Regional History Collection and University Archives grew rapidly, and manuscript acquisitions became national in scope. In 1972, the Cornell Program in Oral History was combined with the archival program, and the Department of Manuscripts and University Archives (now part of the Division of Rare and Manuscript Collections) was established. The Africana Reading Room became part of the library system in 1973. But libraries also were a site of student demonstrations in the late sixties, and to ensure its security, the library microfilmed the entire card catalog. Kaser also served in other capacities besides Director of Cornell Libraries. In 1972, he led an inquiry team from the American Library Association that found racial discrimination in staff promotions at the Library of Congress. Thanks to his efforts, that Library implemented fairer hiring practices. 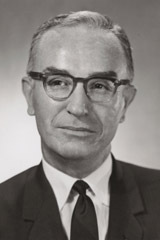 An avid academic, Kaser resigned his post as Cornell University Librarian to accept a professorship in the Graduate Library School at Indiana University in 1973. He held that position until his retirement in 1991.